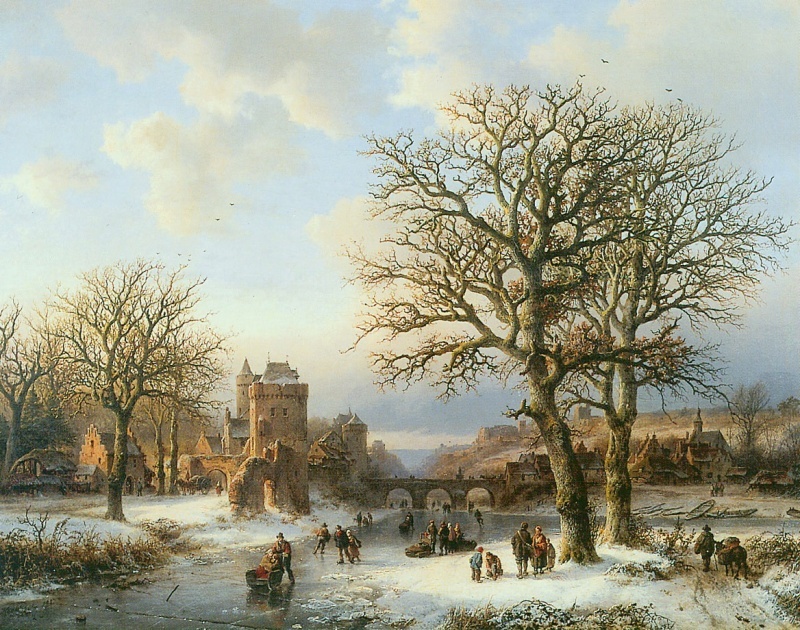 Barend Cornelis Koekkoek – B.C. Koekkoek-Huis. Title: Winterlandschaft. Date: 1857. Materials: oil on canvas? Dimensions: unknown. Source: https://static.mijnwebwinkel.nl/winkel/budgetschilderij/full8476268.jpg? Materials:? Dimensions:? Nr.? Source: http://weblogs.nrc.nl/cultuurblog/files/2010/05/BCK-Die-gro%C3%9Fe-Buche-vor-Schlo%C3%9F-Moyland-1840_RGB.jpg. P.S. I have changed the light, contrast and colors of the original photo.